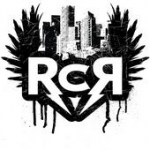 Red City Radio is a local 'Punk' band with great potential. After a stint 'on the road', the group is back in OKC to play for hometown fans this Friday at VZD's. The Oklahoma Gazette's, Joe Wertz, introduces us to the group he says is OKC's best band!